The SC ATD Midlands Upstate Geographical Interest Group (GIG) Chapter was reorganized and chartered in 2006 (see History) to provide training professionals in the Upstate with continuous learning and development opportunities. Effective January 2017, the chapter was acquired by ATD Midlands as a Geographical Interest Group. Membership ranges from large corporations to small consulting companies with a wide range of business representation and responsibility. 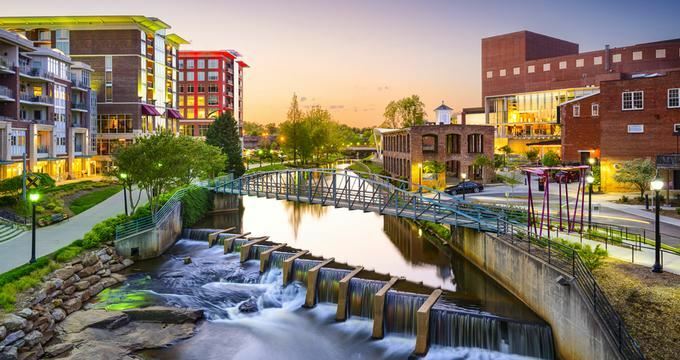 The South Carolina ATD Midlands Upstate GIG offers at least six fun and educational meetings each year as well as special interest group and networking meetings. This chapter has been recognized by National ATD, (formerly ASTD) as Chapter of the Month in May, 2010. Geographic Interest Groups (GIGs) are designed to extend ASTD Midlands programs to geographic areas outside of the Columbia area. While its members have ATD Midlands member privileges, the GIGs provide meetings at convenient times and locations so members don’t have to miss valuable time away from work in traveling to Columbia. GIGs allow members to meet other workplace learning and performance professionals and experience quality professional development programming close to home.